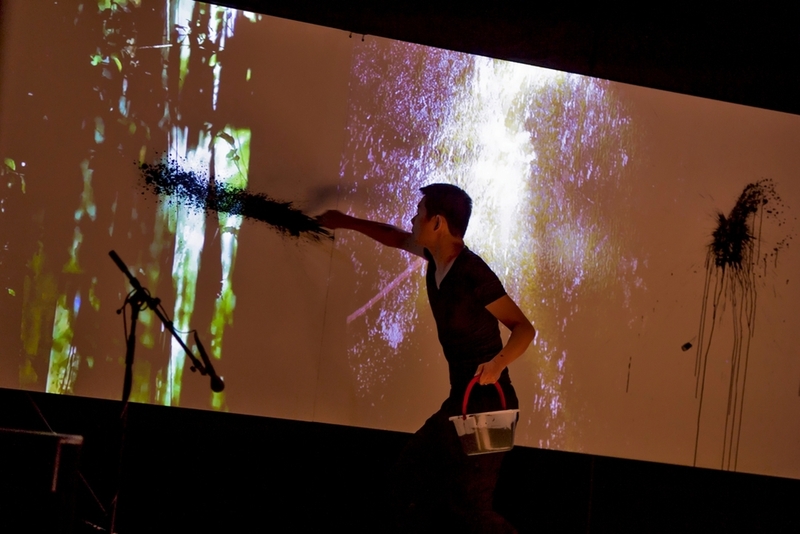 Palimpsest was made in response to the notion of digital technology as exterior to human consciousness. The work incorporates digital technology into the artist's interior consciousness, deeply ingraining it into his movements and actions. 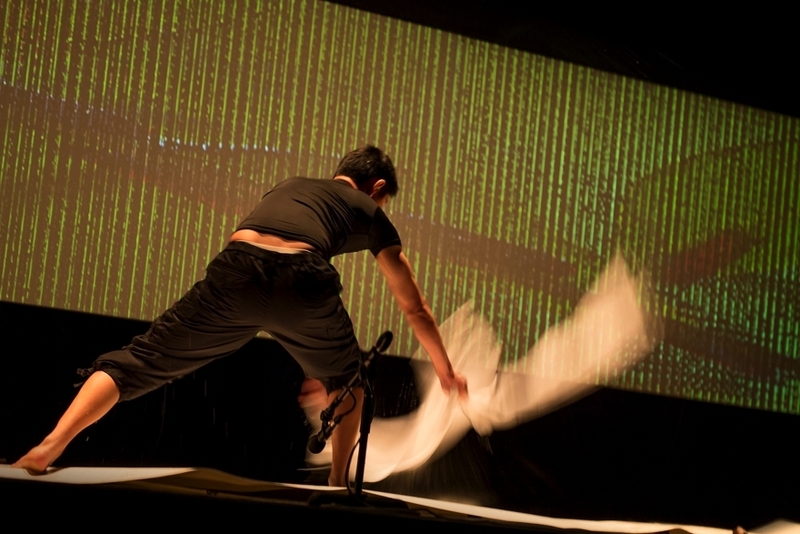 Technology is no longer a medium, but expressed through the artist’s presence and aura in a kinetic sound performance.